This document describes the possible non-technical, or configuration issues that can cause systems to stop working. The license server is temporarily out of service. 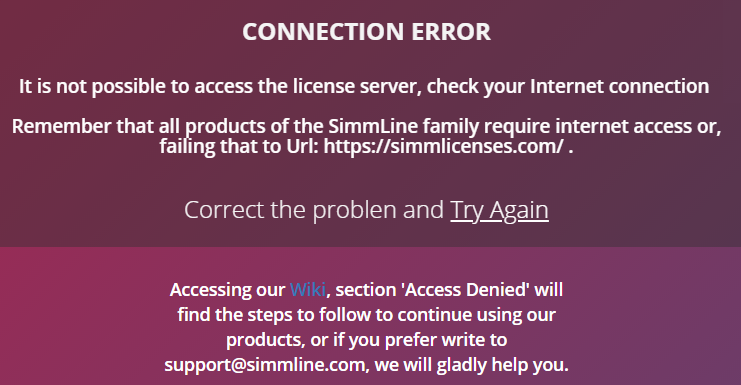 Scenario 1 if for security reasons you do not want to enable Pbx internet access, you only need to have access to the URL https://simmlicenses.com/, communication with the license server is encrypted and will only be used to connect to the licensing web services. Scenario 2 Our license server is hosted on Amazon AWS and has redundancy against failures that guarantees availability of 99%, which translates into an almost nil probability that systems will stop operating due to a failure in the licensing platform. 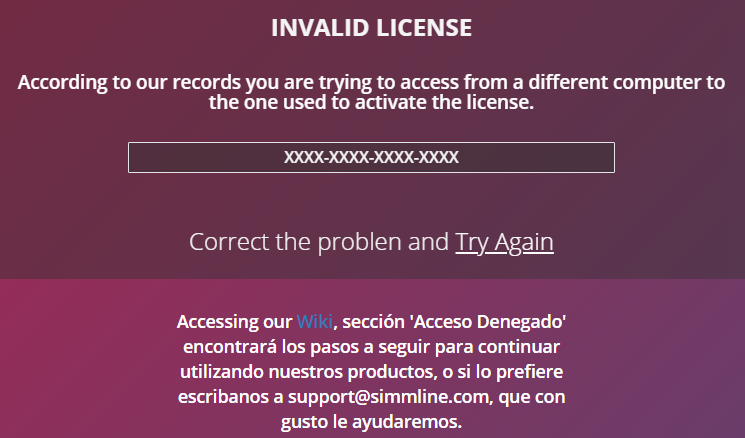 All products of the SimmLine family are sold under the modality of leasing, if the contracted plan comes to an end and the system is not renewed it will stop working. Each product is licensed independently, so the expiration of a contract does not affect the rest of the licenses that you have contracted. 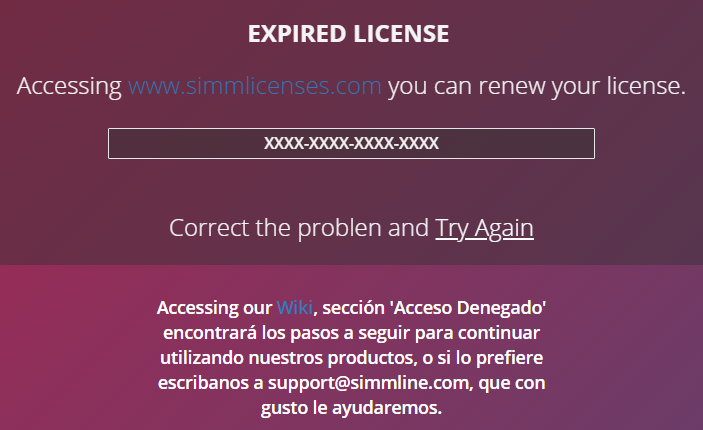 To renew your subscription you must access www.simmlicenses.com and follow the steps detailed in the guide SimmLicenses – First Steps. Go to Menu / My Licenses. Select the license that you want to Revoke. Once the license revocation process has been completed, you can activate the new server without problems. 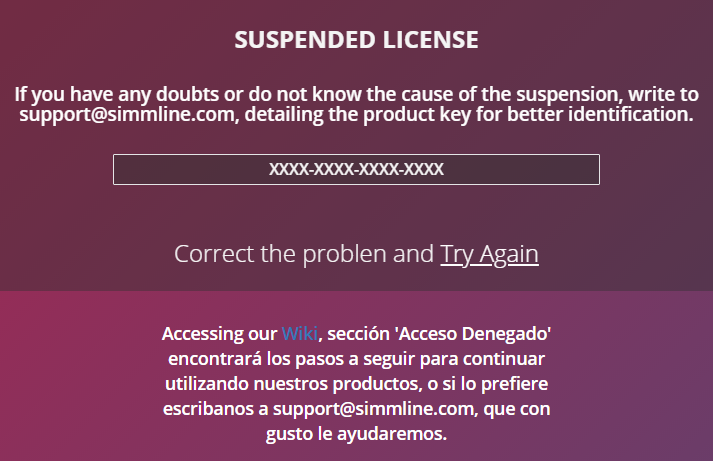 The suspension of a license is an administrative process of SimmLine, therefore to know the reason for the suspension, it is necessary send a email to support@simmline.com.